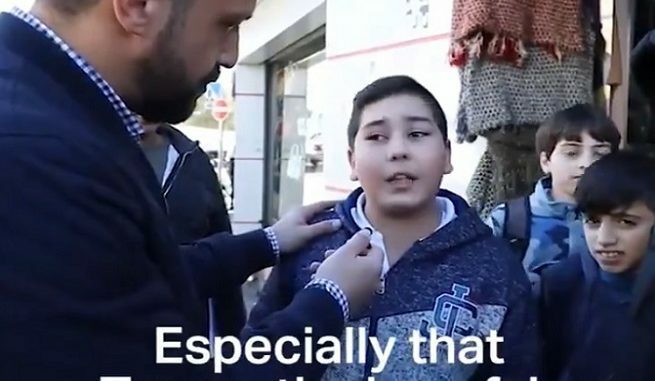 In an interview with Turkish Radio and Television (TRT) English, a Palestinian boy speaking of the situation in Jerusalem following the US President’s declaration of Jerusalem as Israel’S capital, he described the US president as ‘Kunafeh’, a famous Middle Eastern desert, which is also popular in Palestine. The comparison, which links between the color of Kunafeh and that of the hair of the US president has gone viral. 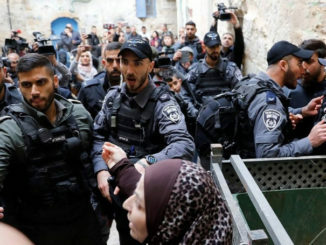 Palestinians have reacted to the video on social media outlets.